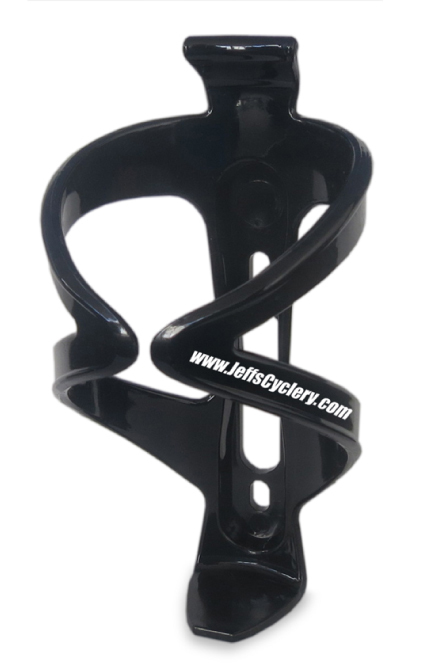 installation onto any standard bicycle or exercise equipment braze on mounts. 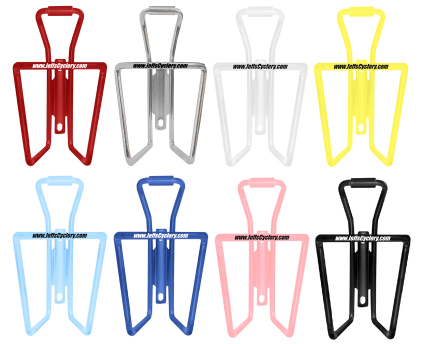 Your shop logo or web URL is printed in either white or black ink on every cage. 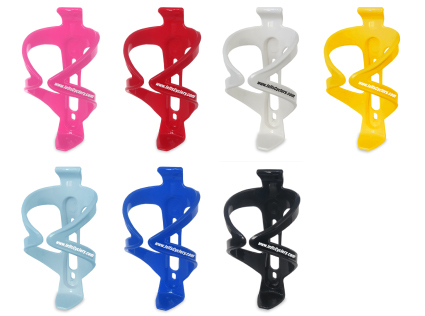 Composite Bottle Cage- Tough polycarbonate construction assures that this cage is going to hang on tightly to bottles. 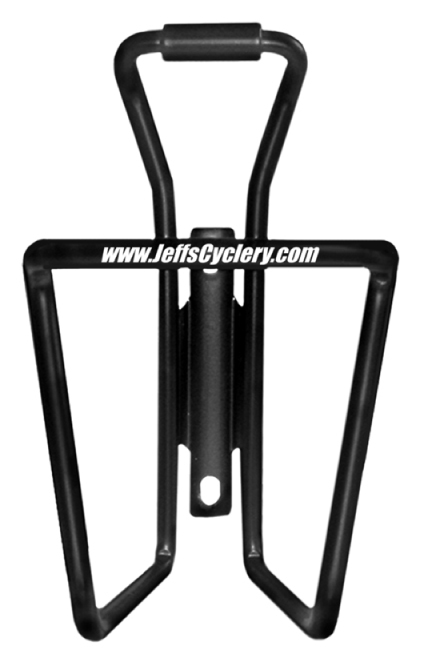 Tough but light each weighs only 38 grams and sized to fit all standard diameter bike bottles.The bolt holes are cut to the standard distance to allow easy installation onto any standard bicycle or exercise equipment braze on mounts.